Italy might well be famous one of the world's most fashion conscious countries but that doesn't mean you have to take 4 trolleys filled with evening dresses, high heels and jewelry when you go there on holiday. If you want to be elegant on the Amalfi Coast, all you'll need is a little cotton dress and a pair of flat sandals. The towns on the Amalfi Coast are characterized by steep little lanes and infinite flights of steps, meaning you'll want to avoid wearing high heeled shoes or long, tight skirts. Don't forget to pack a warm jumper and walking boots, if you plan to go trekking in the mountains or along the area's panoramic coastal paths. A k-way jacket might come in handy too. Remember also that very short shorts are not approved of in a number of hotels and restaurants and that you will be refused entry to churches if your legs and arms are not covered. In trendy discotheques such as Music on the Rocks or Afrikana, you'll need to look suitably stylish if you want to get past the bouncers. 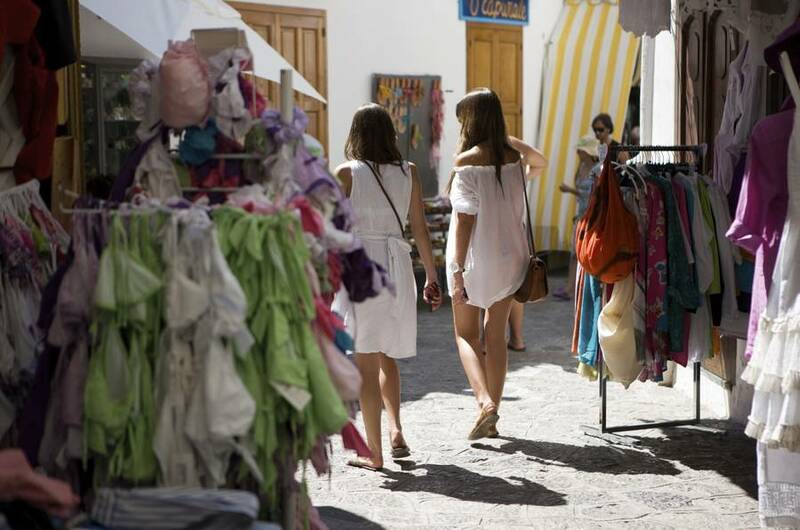 Whilst on the Amalfi Coast, youll be able to purchase items of clothing such as Positanos pezze: thin and brightly colored garments made from linen and gauze which you could only possibly get away with wearing in Positano (or on a beach). Absolute musts for the girls include a pair of flat Capri sandals with laces: like those Jacqueline Kennedy used to wear when holidaying on the Amalfi Coast . To complete the Positano look: a pair of diva sunglasses and a loosely woven straw bag, complete with little bells.